The SNECMA Coléoptère has to be one of the weirdest looking aircraft ever to be designed and looked like a UFO from the start. It was developed by the French during the 1950’s as a single-pilot VTOL plane with an annular wing configuration. In many ways it has a striking resemblance to ‘Thunderbird One’ of the popular puppet TV series by the same name which has led to speculation that it may have been the inspiration for the aircraft/spaceship piloted by Scott Tracey. On its ninth test flight it suffered a devastating crash caused by basic instability. The project was subsequently cancelled in 1959. 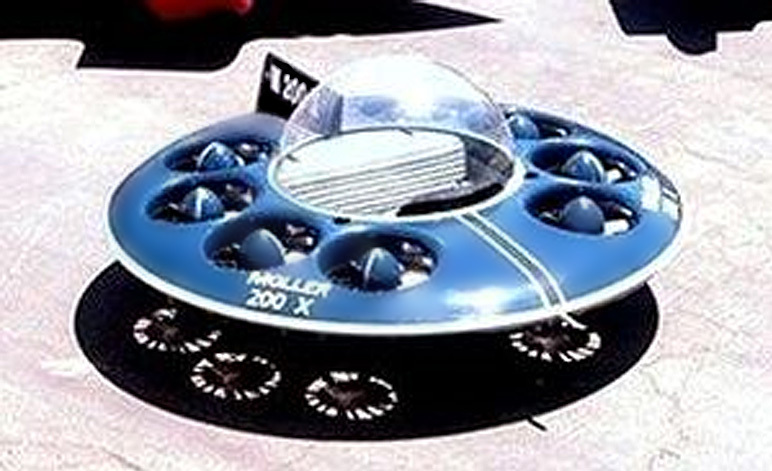 The M200G Volantor was built as proof of concept for a saucer-shaped craft that would eventually operate as both a plane and a hovercraft. Looking very much like the UFO’s of 1950’s comics, it has eight computer-controlled fans which will allow it hover up to 10ft in the air. The project may have started as early as 1976 but, as of 2015, has yet to deliver a commercially available product. The Volantor was the brainchild of Paul Moller – an aeronautics engineer from British Columbia, Canada. 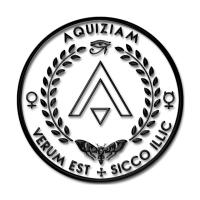 This ‘black-project’ was actually named after an alien spacecraft – namely the Klingon ‘Bird-of-prey’ from the popular Star Trek film and television series. It’s one of the few aircraft that was actually meant to look like a UFO. It should come as no surprise that it was developed at Boeing’s ‘Phantom Works’ located at Area 51 in the Nevada desert. It was never intended as a finished aircraft but rather as a testbed for stealth related technologies, much of which would later be used on the X-45 Combat UAV. It represented a significant advance in aircraft camouflage technology and was eventually transferred to National Museum of the United States Air Force at Wright-Patterson AFB, Ohio. 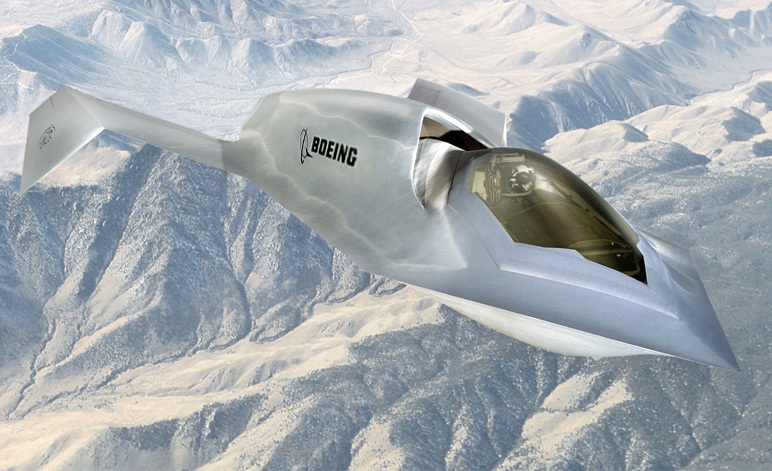 The Boeing X-45 was an unmanned combat air vehicle (UCAV) manufactured by Boeing Integrated Defence Systems. It was created as a concept demonstrator for the next generation of wholly autonomous military aircraft. As with the Boeing ‘Bird of Prey’ – on which it was based – it was developed at the Phantom Works within Area 51, Nevada. 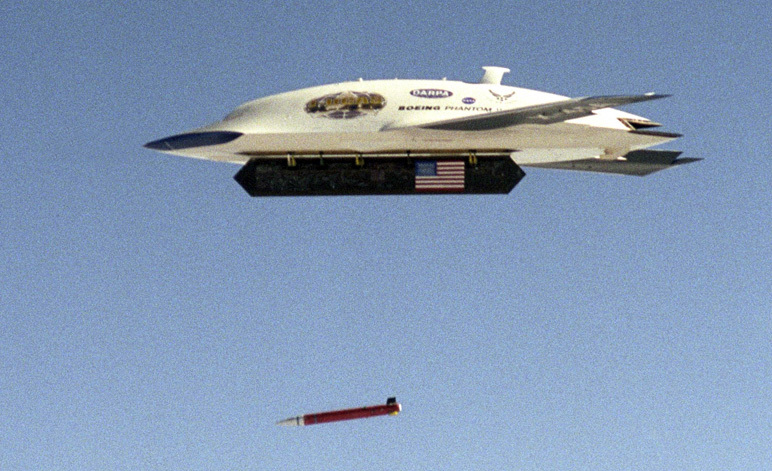 The X-45A made its first flight on May 22, 2002. Testing and research continued until 2006 when the project was suspended in favour of the developing the aircraft for the US Navy. In 2008 Boeing lost the completion and the Navy continued the project with the Northrop Grumman N X-47. A Variation of the X-45 project remains partially active as a ‘non-commissioned’ development known as ‘Phantom Ray’. 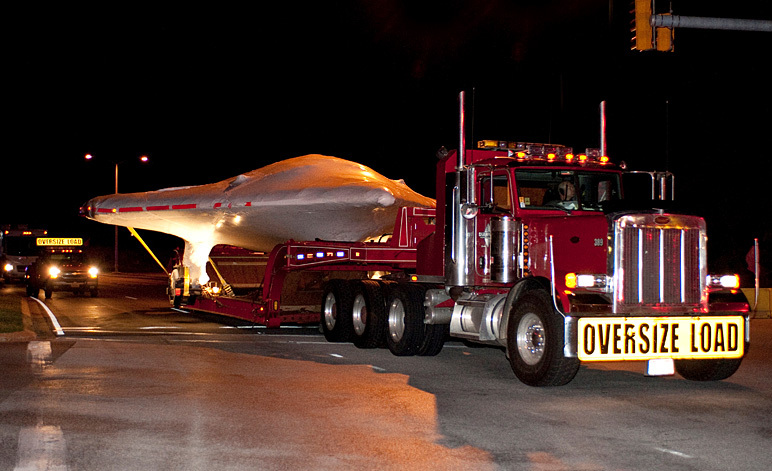 The X47b in transit from Edwards Air Force Base and looking very much like a captured alien craft under the not very concealing wrappers. 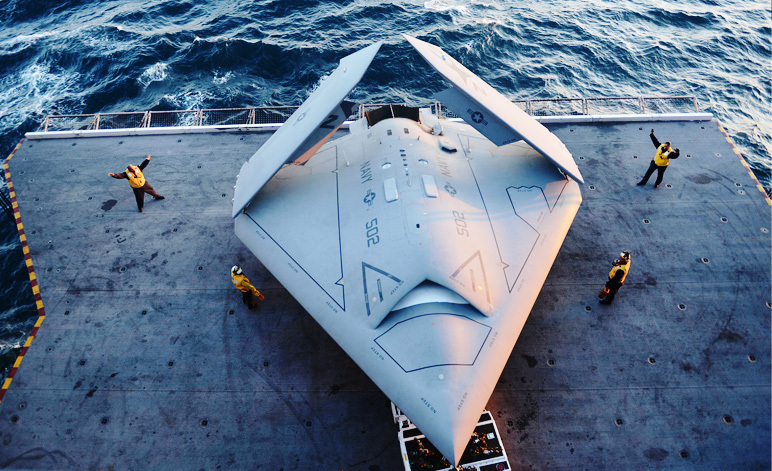 This plane, that looks distinctly like a UFO, is an unmanned combat air vehicle (UCAV) designed for use on the US Navy’s aircraft carriers. It is a jet-powered aircraft capable of semi-autonomous ops and aerial refuelling. The body is based on a blended-wing design and is completely without a vertical control (tail). It will be developed into a battle ready aircraft for the (UCLASS) ‘Unmanned Carrier-Launched Airborne Surveillance and Strike’ system. It is expected to be fully combat operational by 2022. In 2015 the US Navy has made the unusual decision to retain the two prototypes in flight condition rather than allowing them to become museum exhibits. The aircraft has very advanced electronic warfare systems and on board counter measures. It has already received two major design awards. As a full sized aircraft it is almost certainly going to spark a frenzy of UFO sightings once it starts to appear in the skies around the world. 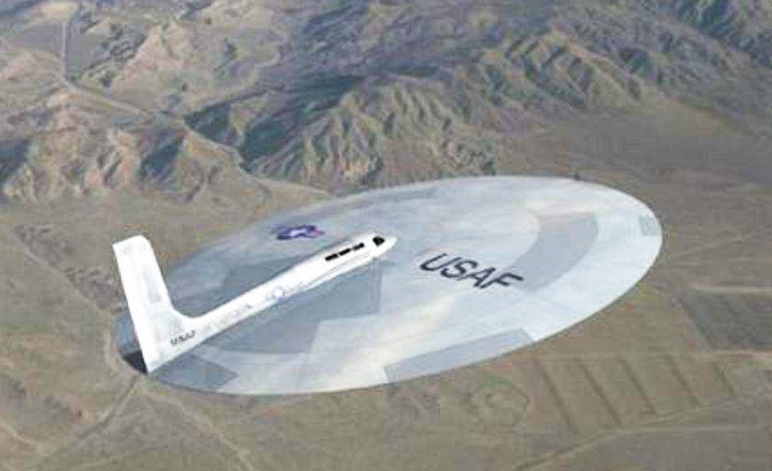 The USAF Saucer Plane that took the internet by storm. Unfortunately all research suggests that these images were simply concept ideas or even just a hoax. This is the ‘Plane with no Name’. Given how it looks this would definitely be the winner of the ‘Plane that looks like a UFO’ category except for the fact that this is almost certainly a hoax. What makes it so believable to so many people is there are at least six different images of the aircraft in different locations. However, it seems as if the plane is a carefully made model that has been isolated and then very carefully superimposed over the various backgrounds. Researchers have actually uncovered the original images that were used – without the saucer craft in them. So … the photos are fake but who created them. Some say they were produced by the US Government as part of a disinformation campaign but the truth is they were probably just put together by a model maker who was also extremely good with Photoshop. It’s a pity, but that’s what it seems to be.